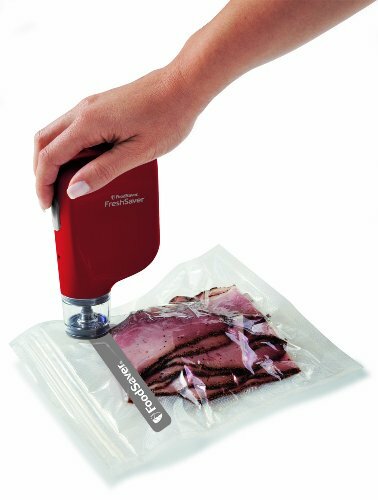 Top Five Inexpensive Vacuum Sealers For Food and premium vacuum sealers. Update: After receiving many requests for a more concise list of the top inexpensive vacuum sealers for food, I've created a chart to show the quick stats so you can compare my top 3 picks. You can read details of each below, or just pick from the chart below. If you want to see something added to the chart, please let me know! 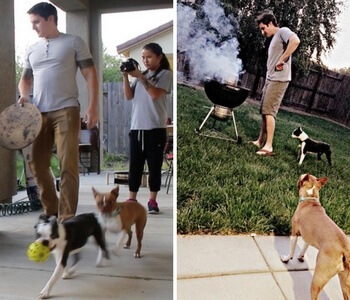 Exact prices vary week to week, so hover over the images in the written part of the review for a current price listing. One of the advantages of this vacuum sealer is the price. It’s hard to go wrong with a product like this, especially as you don’t need a complex tool for vacuum sealing. Now, it’s true that the design doesn’t provide many features but the product does still have a drip tray and is also compact, which is perfect for small kitchens. The product is also very easy to use and most people would be able to get started with it right away. Now, a subset of reviewers do note that the product isn’t as high quality as more expensive options and sometimes does not create a good seal. This is a common problem with inexpensive vacuum sealers and the best way around it is to simply get a higher quality one. 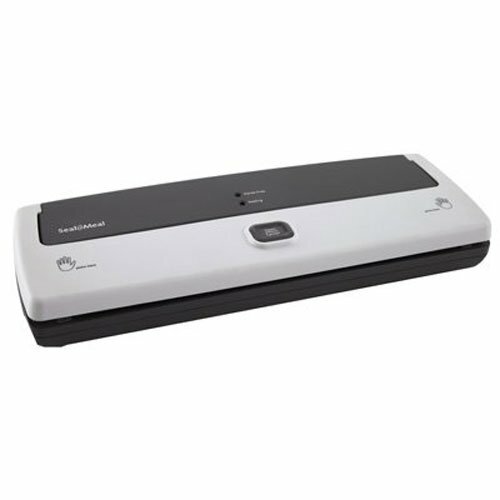 Nevertheless, this is a good option for the price that you pay and it is one of the most popular vacuum sealers on Amazon. This product from Rival is another inexpensive option for vacuum sealing and a good machine to start off with. As with other vacuum sealers, the model primarily works on dry food, although it can also be used on moist food as long as you are careful. It is a fairly basic product, which means that there aren’t extra features such as multiple speed settings or an accessory port. Nevertheless, that shouldn’t be an issue if you are simply looking to vacuum seal food for sous vide cooking or for storage. 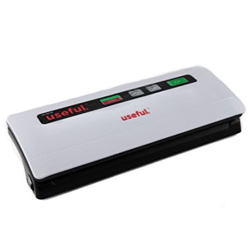 This vacuum sealer also has the advantage of being one of the more popular inexpensive vacuum sealer models on Amazon, with most reviewers being fairly happy with their experience. Ivation boasts that this vacuum sealer is the #1 recommended sealer for sous vide cooking, although that claim is probably more hype than anything else. Nevertheless, the approach does mean that the bags from this company will work well in sous vide cooking without any issues. This particular product also has the advantage of offering gentle and standard vacuum settings, where the gentle setting is often used for delicate food or food that is very moist. Having two pressure settings is fairly common on vacuum pressure machines but it is unusual to find this on a machine as inexpensive as this one. This is another product that has a surprising amount of features for the price tag. In this case, it has gentle and normal settings for the vacuum process, along with modes for dry and for moist sealing. The machine will also work with vacuum bags from other brands without any issues, which offers some flexibility about what bags you buy for it. While the system does not have as many reviews as some of the other ones in this list, it does have the advantage of getting consistently positive reviews, averaging 4.3 stars on Amazon. 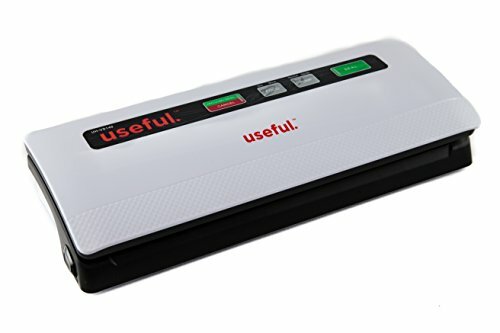 This suggests that the product works well, with some reviewers commenting that this is as good as other vacuum sealer models that are considerably more expensive. 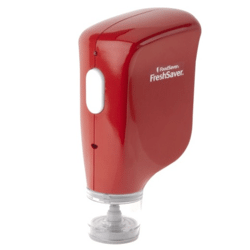 If a traditional vacuum sealer doesn’t fit within your price range, one inexpensive alternative is hand sealers, like this option from FoodSaver. The process works a little bit differently than traditional vacuum sealing, as the device makes use of special bags with a one-way seal. This does mean that you have to use FoodSaver bags for this particular device, although the bags to tend to be reusable. Overall, the product is fairly popular and is a good inexpensive option if you don’t plan to vacuum seal often or if you don’t want to invest in a full-sized machine. Nevertheless, it is important to note that this type of device is never going to function as well as a standard vacuum sealer and the handheld device does have less versatility than normal vacuum sealers do. 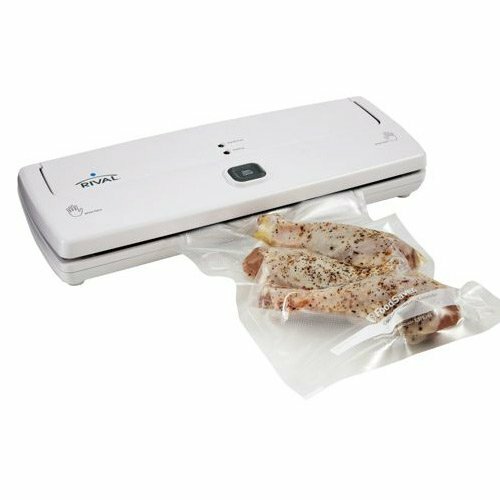 If you are looking for an inexpensive basic vacuum sealer, then it’s hard to go wrong with the Seal-a-Meal Compact Vacuum Sealer. This product remains extremely popular and also has the advantage of being compact and fairly easy to use. The lack of features may be an issue for some people but if you are just interested in vacuum sealing then this product would probably work well. The low price also makes it a great way to get used to the processes involved in vacuum sealing (and in sous vide cooking), without having to make a substantial investment. 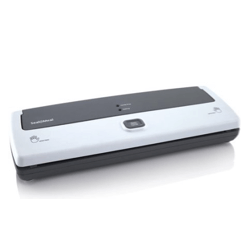 We do also recommend the Useful Vacuum Sealer System, particularly for people who are looking for a few more features. 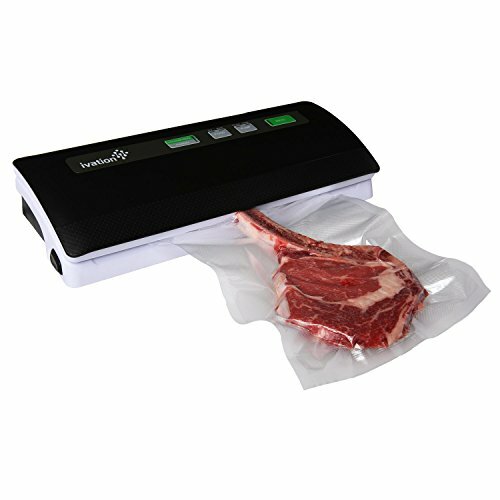 This vacuum sealer is more expensive than the Seal-a-Meal option but it may be worth paying this price for the vacuum speeds along with the dry and moist sealing settings that this model offers. Some real bargains here, I’ve used a few different kinds of vacuum sealer and these are up there with the best, especially the seal-a-meal. Proof you can get a good quality sealer for a good price. They save you money too in the long haul. I am about to buy a vacuum sealer and like the second one,but I wonder the price of it? Amazon is funny about naming prices of items because they change so often depending on availability and the individual sellers. If you need to know a specific price, please click the link to find out the current price of the vacuum sealer!